Tracing your female ancestors can be a challenge since almost all women took their husband's family name when they were married. But, not all is lost, below are some of the many ways you can locate your ancestor's maiden name. The obvious starting point, marriage certificates list both the groom's surname and the bride's maiden surname. When exploring marriage resources, remember to also look for associated records like licenses, announcements, banns, bonds and even divorce records. If you find your female ancestor's marriage record, but her maiden name isn't listed, check the witness's name on the form. The witness could be a close family member. Try searching for her children's marriage records too. Sometimes the mother's maiden name will appear on her children's marriage records. Be careful, though, if the woman in question is a widow or was remarried, it won't be her maiden name on the record, so be diligent with your search to confirm this. If you don't know your ancestor's maiden name to begin with, finding her birth certificate will be next to impossible, initially. Try searching for her death record first. If her parents are listed on the death record, you could discover her maiden name. Again, keep in mind that her mother may have remarried, so the listed name isn't necessarily her maiden name. If you find a potential match, a good tip is to cross-reference with other records and see if everything matches up. If you know the name of any of your female ancestor's children, search for their birth records. They normally include the mother's maiden name. 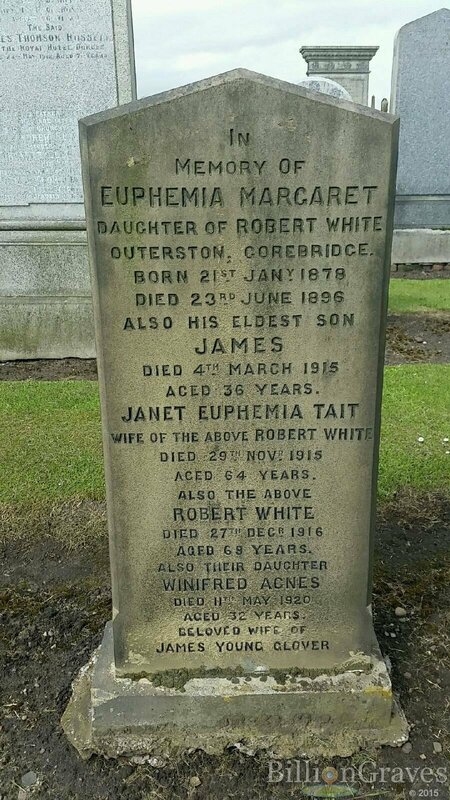 Cemetery and burial records are a great place to look, even if the woman's maiden name isn't included on the records themselves. Often times you'll find that the inscriptions on the tombstones state the parent's of the deceased, giving you her family name. Census records are a great resource to help you figure out your ancestor's maiden name. Often, as people grew older they they opted to live with their younger relatives or children, so be sure to check the census records to see if anyone is suddenly living with your ancestor with a different name. It could well be somebody from your ancestor's family with the same maiden name. When doing this, continue to keep marital status in mind because the person might be widowed or remarried - always verify your facts! Newspapers are an invaluable resource for locating a woman's maiden name. Newspaper obituaries often list the parent's names of the deceased. Wedding announcements are also often listed in the papers and include the name of both the bride and groom to be. Check for the approximate date of the marriage and a few weeks following. If you only know the groom's name, search for him and your female ancestor (and her maiden name) will be inevitably be listed alongside. Even if your ancestor didn't serve herself, if her husband or son died in the war, often there are records of their pension files with her maiden name listed. Sometimes marriage certificates or affidavits included are also found in military records. Remember, your most likely searching for your female ancestor's male relatives in these records, in the hope to find her mentioned in the detail. If land deeds were transferred to a widowed wife when her husband died, sometimes her maiden name will be listed in the records. A useful tip is to look for the latin et ux, which means "and wife,". Look through the names of your ancestors and if any seemingly unusual names appear, it's worth looking into. It is not uncommon that your ancestor's middle name is that of their mother's maiden name. This applies to both men and women, so if you spot an unusual middle name, follow it up. Check the back of old photographs for clues to who was in the picture. The insides of old books, family bibles and any old documents you may have are another useful avenue to explore. If the records you need aren't available online, reach out to churches and archives for access to them. Join online community boards and social media pages, where like-minded researchers are usually willing to provide assistance. Need More Help and Inspiration?